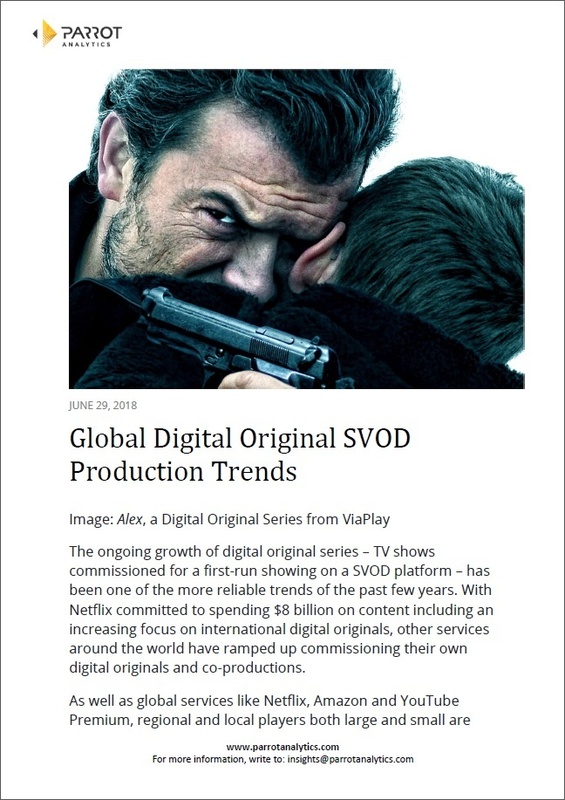 The ongoing growth of digital original series, TV shows commissioned for a first-run showing on a SVOD platform, has been one of the more reliable trends of the past few years. In this analysis we investigate the increase in the number of digital originals and co-productions. The global number of newly-premiering digital original TV series per year. The percentage of new digital original TV series across all SVOD platforms by region. The percentage of new Netflix digital original TV series by region. This study leverages the Parrot Analytics content genome and global TV demand data.